EXCLUSIVE: Vikram-Kamal Film A Remake Of Hollywood Blockbuster? When Kamal Haasan announced earlier this year, he would be producing a film with ‘Chiyaan’ Vikram and Akshara Haasan in lead roles under Thoongavanam fame Rajesh M. Selva’s direction, excitement skyrocketed as expected. 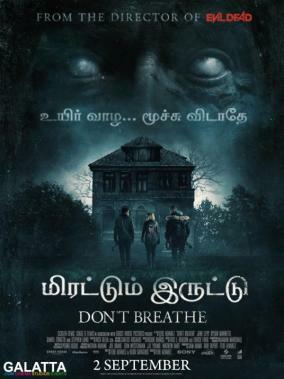 With production underway for this untitled film jointly being bankrolled by Raaj Kamal Films International and Trident Arts banner, there have been speculations as well as a strong chatter online that the film is a remake of the smash 2016 Hollywood blockbuster, Don’t Breathe. That said, sources close to us have now revealed the ongoing project, which includes music by Ghibran, is NOT a remake of Don’t Breathe. >> Kadaram Kondaan Official Teaser - Important Update On Vikram | Akshara Haasan & Kamal Haasan Next!